DEHYDRATION OF FRUITS AND VEGETABLES REPUBLIC OF CYPRUS Dr Panicos Hadjigeorgiou Department of Agriculture. 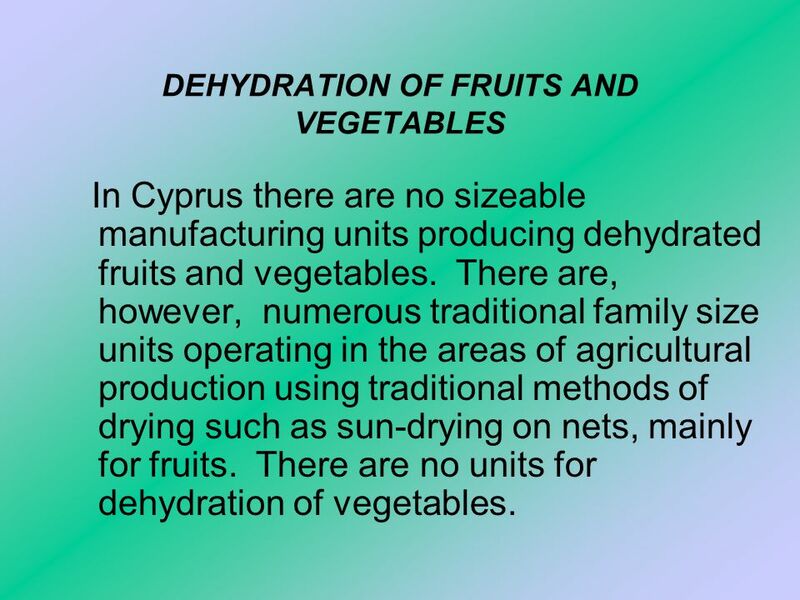 2 DEHYDRATION OF FRUITS AND VEGETABLES In Cyprus there are no sizeable manufacturing units producing dehydrated fruits and vegetables. There are, however, numerous traditional family size units operating in the areas of agricultural production using traditional methods of drying such as sun-drying on nets, mainly for fruits. There are no units for dehydration of vegetables. 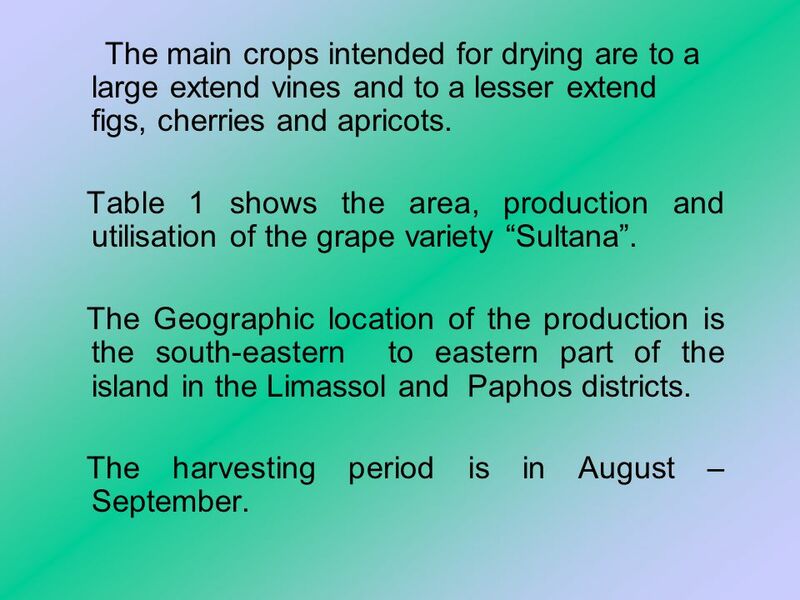 3 The main crops intended for drying are to a large extend vines and to a lesser extend figs, cherries and apricots. 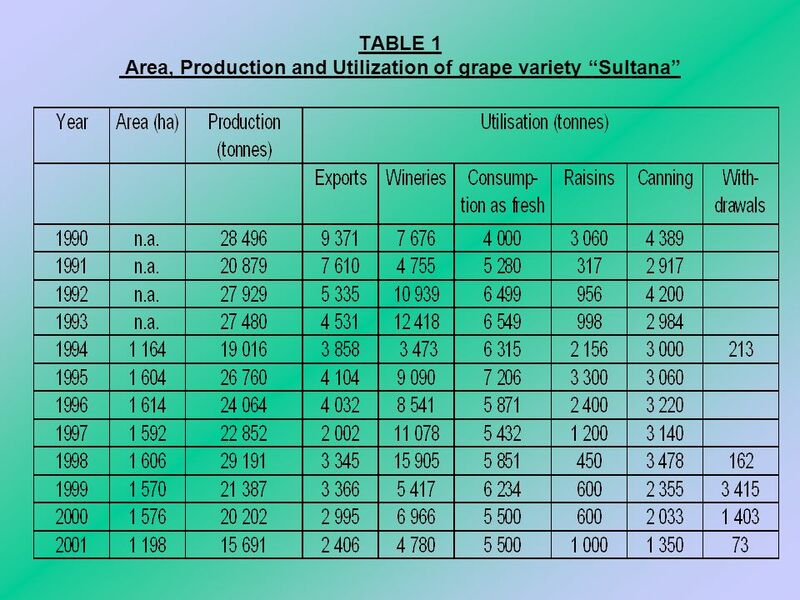 Table 1 shows the area, production and utilisation of the grape variety “Sultana”. 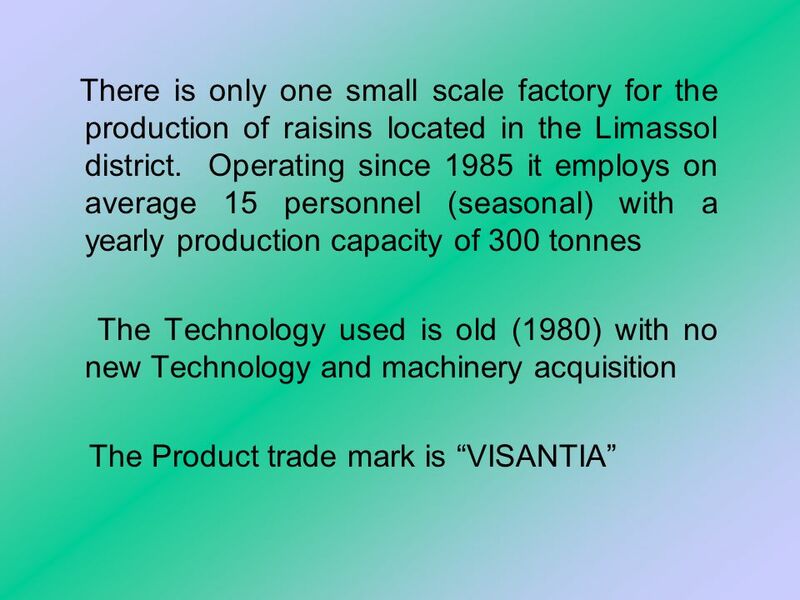 The Geographic location of the production is the south-eastern to eastern part of the island in the Limassol and Paphos districts. The harvesting period is in August – September. 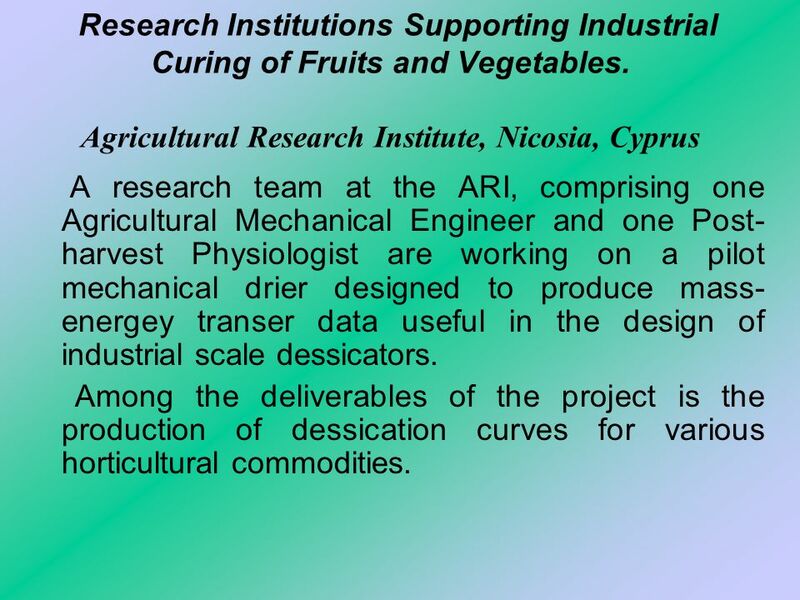 6 Research Institutions Supporting Industrial Curing of Fruits and Vegetables. Agricultural Research Institute, Nicosia, Cyprus A research team at the ARI, comprising one Agricultural Mechanical Engineer and one Post- harvest Physiologist are working on a pilot mechanical drier designed to produce mass- energey transer data useful in the design of industrial scale dessicators. Among the deliverables of the project is the production of dessication curves for various horticultural commodities. 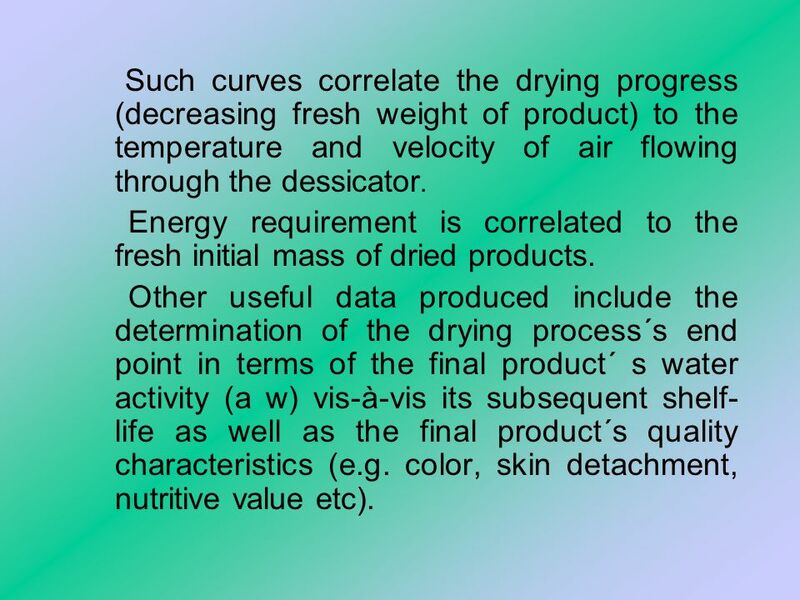 7 Such curves correlate the drying progress (decreasing fresh weight of product) to the temperature and velocity of air flowing through the dessicator. Energy requirement is correlated to the fresh initial mass of dried products. Other useful data produced include the determination of the drying process´s end point in terms of the final product´ s water activity (a w) vis-à-vis its subsequent shelf- life as well as the final product´s quality characteristics (e.g. color, skin detachment, nutritive value etc). 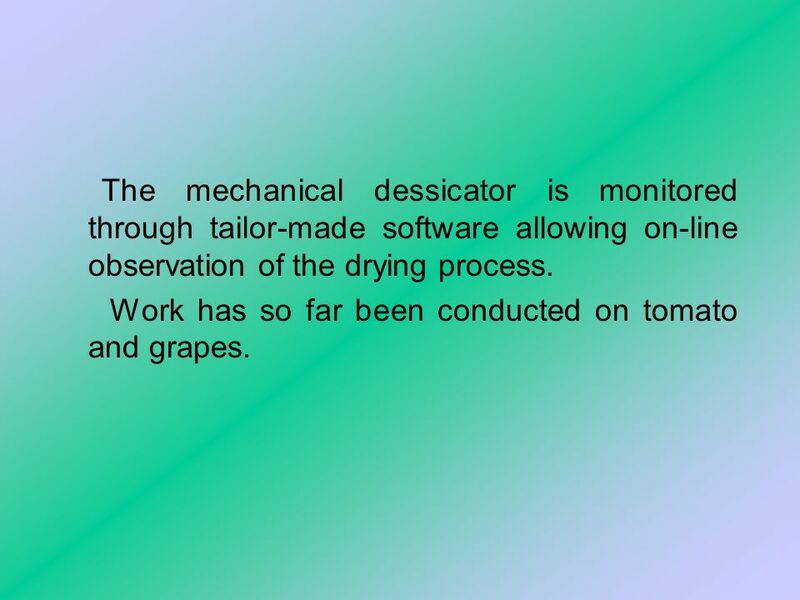 8 The mechanical dessicator is monitored through tailor-made software allowing on-line observation of the drying process. Work has so far been conducted on tomato and grapes. 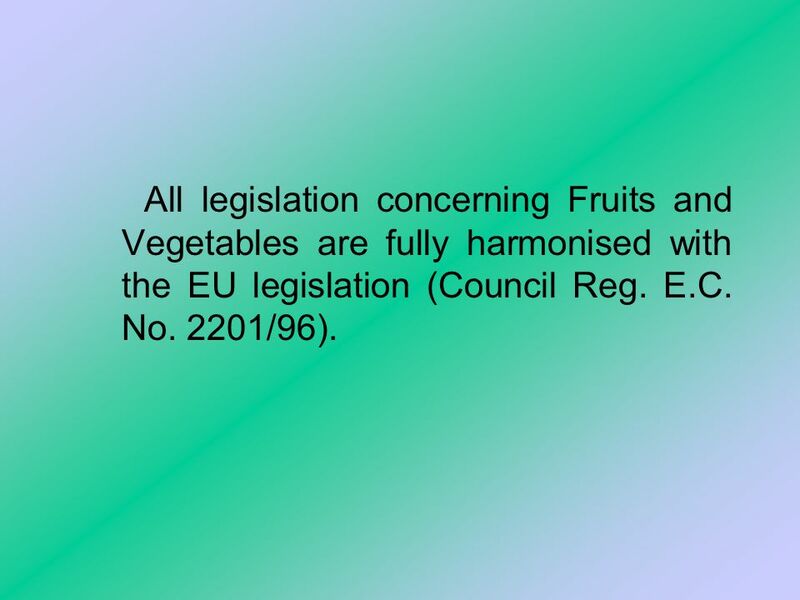 9 All legislation concerning Fruits and Vegetables are fully harmonised with the EU legislation (Council Reg. E.C. No. 2201/96). 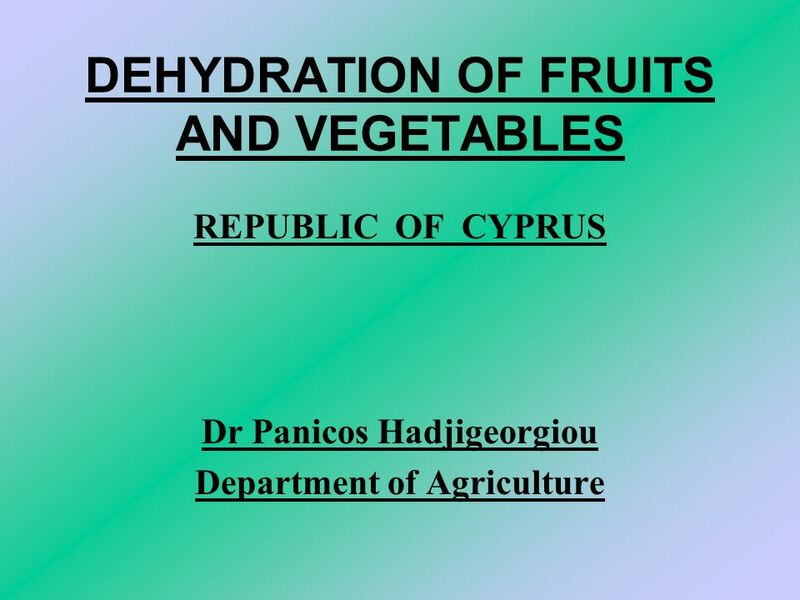 Download ppt "DEHYDRATION OF FRUITS AND VEGETABLES REPUBLIC OF CYPRUS Dr Panicos Hadjigeorgiou Department of Agriculture." 1 International Standards in the Multilateral Trading System Fruit and Vegetables for the Fresh Market. Università degli Studi di Foggia, Italy Laboratorio di Impianti per le Industrie Alimentari PASTIS CNRSM, Brindisi – Italy Area Materiali e Processi per. Postharvest Training Workshop SUSANTA K.ROY PROFESSOR EMERITUS “Identification of Appropriate Postharvest Technologies for Improving Market Access and. “Renewable Energy. A Challenge for the Future”. The European society of Lykeio Agiou Nikolaou visits the ‘photovoltaic park’ of The University of Cyprus. INTRODUCTION Land is not only one of the most defining social, political and development issues in Southern Africa, but is the most intractable element. How do we feed 9 Billion People Food security Declining arable land Loss of water resources Declining nutrient and mineral content Climate change Vertical. Network–Retail Program A partner in improving the health of our communities. LIFE TCY 98/CY/167 Integrated Control of Industrial Pollution and Chemical Substances in Cyprus VOC EMISSIONS By: Dr. Stelios Georghiades Labour Inspection. „Agropuzzle 2” meeting in Portugal April 2014 Presentation Day 2. Balances of major agricultural products (slide to the report) Balances of major agricultural products (slide to the report) Aurora Garabazhiu-Head of Agricultural. Dried Fruit. Why Should I Eat Dried Fruit? ¼ cup of dried plums, dates, figs and raisins are a good source of dietary fiber and potassium. Climate Impact Assessment Using the Media in Uganda, A Case of 2002 Second International Conference on Climate Impacts Assessment (SICCIA) June 28-July. Food Focus Messages - Fall Food FocusHealth Benefits and Tips Dairy: Milk Yogurt Cheese Choose low-fat and fat-free dairy foods for all the health benefits. Fruits and Vegetables And everything you never thought you would learn about them…. Agriculture, Water and the California Economy Urban Water Institute Annual Water Policy Conference San Diego Friday August 24, 2012 Daniel A. Sumner, University. INTRODUCTION TO FOOD PROCESSING & PRESERVATION. WORLD FOOD PROBLEMS - Need for more effective and more widely used methods of Food processing & preservation.